Julia Garner and Laverne Cox attended the 25th Screen Actors Guild Awards this evening(January 27th) at the Shrine Auditorium and Expo Hall in LA. Both actresses chose ZAC POSEN gowns. 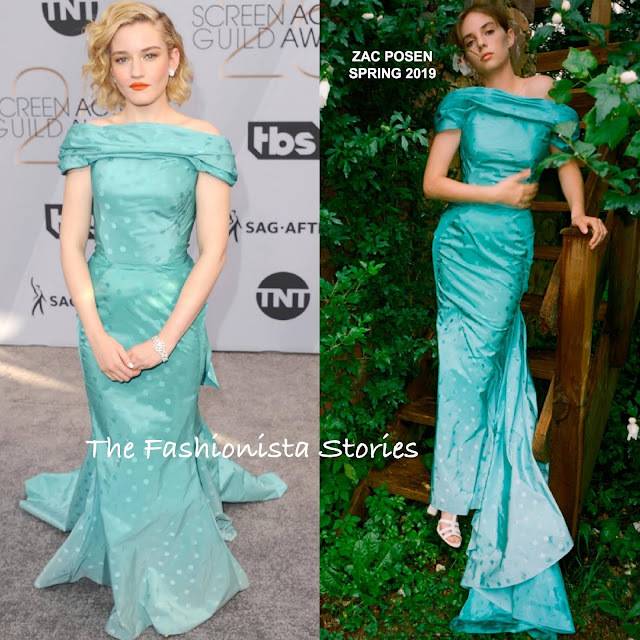 Julia Garner showed off her décolletage in SPRING 2019 aqua taffeta degrade, dotted off-the-shoulder gown, featuring a low-cut back, and a draped train in the back. Love the color on her and the orange lip was the perfect color to wear with this gown. However this gown seems like it needed someone with height. Nonetheless, it was a great choice and she sells it. 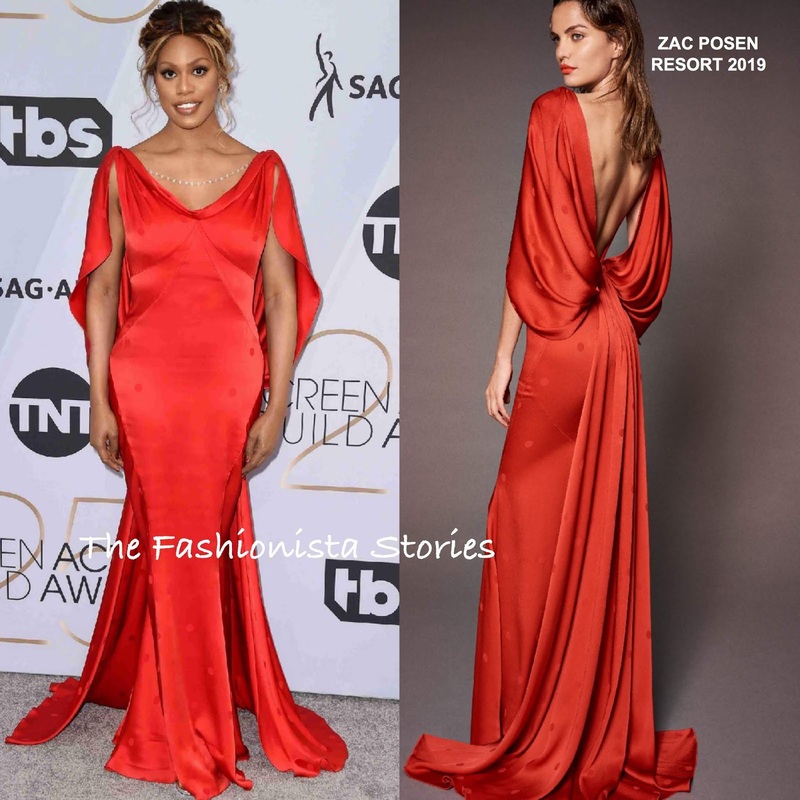 Laverne Cox also chose a polka dot gown but from the RESORT 2019 collection. Her floor sweeping gown also featured a v-neck and a draped open back that flowed into a train. While the color, and fit makes this a winner, the MARIANNA HARUTUNIAN necklace the drapes the back was the perfect accessory. You can see it HERE.